As a senior professional in what might be termed the wider software industry I’ve worked with a lot of new graduates. On average I estimate that it takes 6 months for a new graduate to become an effective developer. This is mostly because there is so much more to being a good developer than just writing code. Yesterday was James Croft’s last day as an intern at Seed, in his blog he takes time to thank us and gives a short précis of how he believes his year at Seed has helped him. In The University we do the best we can to provide our students with knowledge of the working world. The University of Hull has an excellent reputation for producing well rounded, very employable Computer Science graduates. This is important, especially now that students are being asked to contribute so heavily and so directly towards their degrees: the employability of graduates is key to choosing a university and a course. A degree is an investment and you want to know you’re going to get a return on that. I’m proud to be a member of the Computer Science Dept. at Hull, but no matter what we present in formal learning we’re never going to be able to teach what it’s like to be a software developer. That’s where Seed Software comes in. We run a professional software development practice from right within the Department of Computer Science. We’re not playing at it either; Seed is not an academic’s idea of what a real software house would look like. Most of the software we develop is in use by the Fire Service. 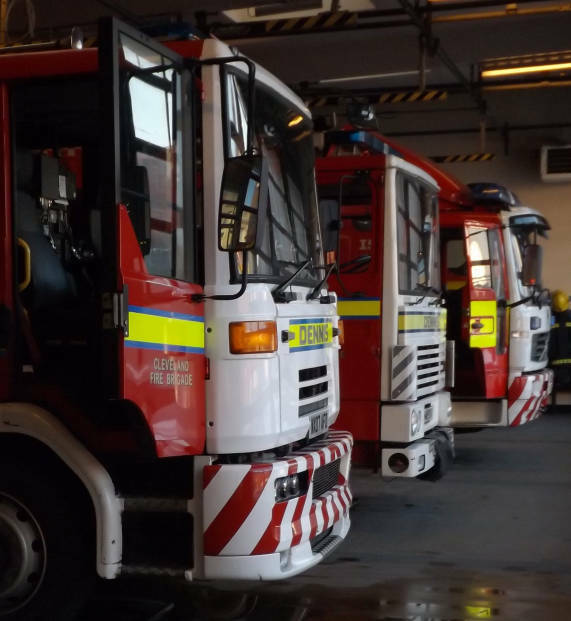 Currently 15 fire services in the UK use our software, ranging from risk management applications to the very systems responsible for taking calls, selecting and mobilising fire engines and assisting the crews by providing communications and information at the scene. Commercial software development doesn’t get much more critical than this. So how does this benefit our students and where does James fit in? James worked with us as an intern – he took a year out of his degree (between second and third years) in order to work with us. This is a paid position, we don’t expect people to work for nothing and there are several positions available. Currently we have 2 intakes, roughly one before and one after each summer. Students can also work for with us part time as a module in their MEng or MSc programme. I couldn’t write a syllabus for what Seed teaches, but I see how our students and interns grow over their time with us. Some come in over-confident and quickly realise that the real world is far more complex than they had imagined. Others come in lacking confidence and realise that they actually do have the required skills. Seed often puts people outside their comfort zones, being a good developer is so much more than sitting behind a computer and writing code. It’s about teamwork, it’s about communication, risk evaluation, it’s about prioritisation, estimation, strategy, presentation, politics. I could go on. That’s what we do in Seed, we take students and we turn them into real world software professionals. As a professional business person myself I would employ every single intern that we have ever had in Seed, perhaps not as they started with us, but by the end of the internship all have proved that they have what it takes to be a valuable asset to our industry. So I’m proud to be a member of the team at Seed, proud of what we do and of what we’ve achieved and I genuinely look forward to the future, to making Seed even better and more effective as we ourselves learn and grow. This entry was posted in Life, Technology on 2013-05-24 by Tom Fosdick.